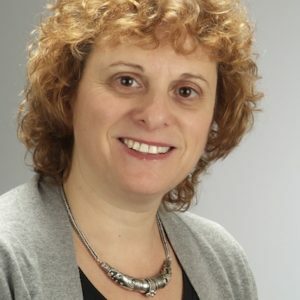 Silvia is the Chair of the NGO Committee on Ageing at the United Nations (UN) in Geneva - representing the International Longevity Centre - Global Alliance (ILC-GA) and is an independent consultant on ageing, health and communication. Silvia has been working in the field of ageing for nearly 20 years. An advocate for the human rights of older persons, she focuses on violence, elder abuse and the intersection of gender, disability and ageing. She organizes events at the UN and the Human Rights Council in Geneva, participates in numerous panels and conferences. At the World Health Organization, Silvia designed and coordinated the first multi-country study on elder abuse and co-wrote the resulting publication “Missing Voices, views of older persons on elder abuse”. Silvia also launched the “Toronto Declaration on the Global Prevention of Elder Abuse” and published “Discussing Screening for Elder Abuse at Primary Health Care Level” (2008). At the Union for International Cancer Control she led a study on the organizational capacity of patient groups and produced the first international film festival on cancer. She was born in Argentina and has lived, studies and worked in England, Israel, Hungary and Switzerland. She has a B.A. in social and educational theatre from Tel Aviv University and an MSc in Inter-professional Practice (health sciences, society violence and practice) from City University, London.